For keyboard controls you can use the use the default button layout or create your own setup or maybe use an SNES gamepad. 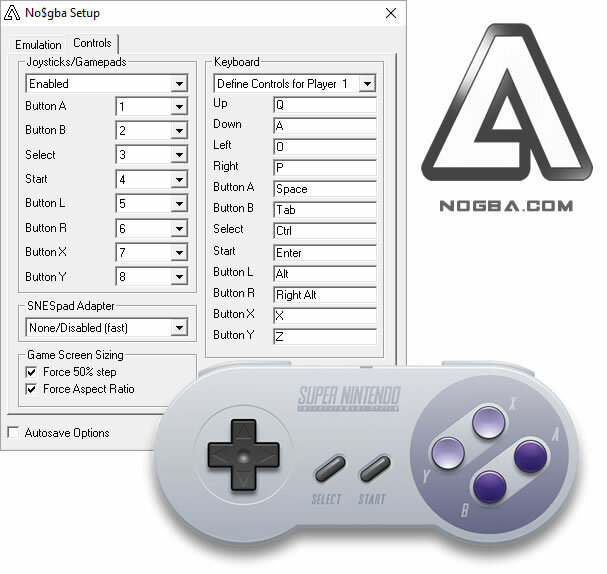 Download the latest freeware Windows gaming or debugversion of NoGBA emulator. Can’t decide which version of No$GBA you should download? ⏳ If you are not a programmer and all you want to do is play some free NDS rom files and GBA games you should download No$gba Windows Gaming version. It has all the features needed for running your Mario, Pokemon and Zelda games. Now Windows debug version of the no$gba should be more interesting for anyone who would like to program for Game Boy Advance or DS or maybe do some deeper digging in how the games are made. Both versions are free so feel free to test them out. So, You want to be a Game Boy Advance programmer, huh? So, What do I need to get started? First and foremost, you're going to need to need some knowledge in the C and/or C++ programming languages. If don't know C++ already, go read some tutorials, take a class, buy a book, whatever. Once you learn the language, it will be your most valuable tool for programming on virtually any platform. Now save it, and be sure to run that file before trying to compile anything, or nothing is going to work right! Once you actually write and compile some code, you're going to need something to run it. Since, at the time of this writing, It is nearly impossible to get a Flash Advance Cartridge for GBA developers, this is where emulators come into play. iGBA and Mappy Virtual Machine are both excellent Windows emulators (Mappy has, by far, the most options) and VGBA is a DOS based emu that seems to have the highest compatibility with all the demos out right now, but as you might expect from a nogba site I would highly suggest you download the latest Windows debug version of the No$GBA emulator. 4.9 of 5 from 2908 reviews. How can I play DS roms with No$GBA Emulator for my PC? Download the file for No$GBA Emulator. Copy the file to a specific folder. Download the DS ROMs. If it is unzipped, just copy the files to the same folder where the emulator file is located. Select the NoGBA.exe file and choose the ROM you want to play afterwards. Go to Options menu. Select Emulator. Select NDS Back-up Media. Select a save type (typically the EEPROM 64Kbytes). Select Options and choose Save. These are just the steps that you need to follow to make the No$GBA emulator work on your PC. After following these instructions, the emulator will be working fine afterwards. MediaFire No$GBA version 2.9b Download. Rapidshare No GBA 2.9c version emulator. Torrent with Latest DS games and Free No$GBA 3.0a version Mega download links. When loading savegame: You just have to choose the appropriate save file to properly save your games. Snapshots: Are only available for GBA mode games. Not possible with the No$GBA emulation. Linking, slot, and trading: The NDS Linking, Trading, NDS with slot, and Picto Chat are not yet available with No$GBA. New Version: Is not yet available. The developer of the emulation, Martin Korth, is not saying anything about it the new version yet. Sudden crashing of the game without reason: You just have to turn off the Sound option. Fixers: No$Zoomers fixers are only available with the 2.9b version. Other than this, it is not yet available. You can play using keyboard and mouse for the touch controls or setup and use any windows compatible gamepad. Did you know that in the Emulation Setup it is possible to set the Solar Sensor Lever for the games that use it. 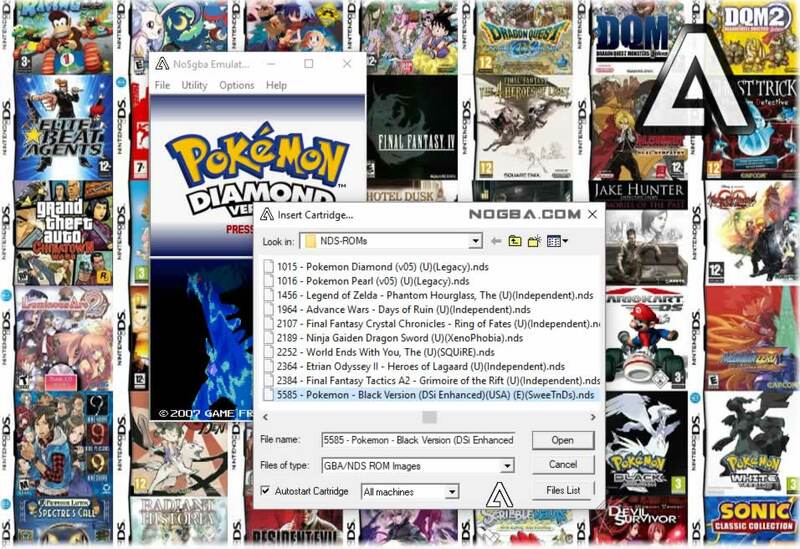 There are no NDS ROMs on nogba.com but it is easy to find nds game downloads using Google or torrent search. © NO$GBA.COM . All rights reserved.